FC PLATINUM coach Norman Mapeza is in a bullish mood ahead of today’s CAF Champions League Group B encounter against Horoya AC here at the Stade du 28 Septembre. Mapeza said yesterday its game on as the Zimbabwe champions, who are bottom of the group, seek their first win. FC Platinum are not discouraged by the fact that Horoya defeated them 1-0 at their own backyard and are yet to score after three games. “I think it’s still game on, we know we had some setbacks when we lost those two games. Where we are now is about self-belief, they came to Harare and manage to beat us. “We can do the same because it’s about self-belief, it’s about playing this game with a positive mind and l just hope with the journey the guys will feel okay. But like l said it’s still game on, we have to push,” he said. The Zvishavane miners conducted a light training session yesterday morning and later in the evening in preparation of the do or die encounter. Mapeza also spoke on his team’s shortcomings in finding the back of the net saying they are prioritising a win. “We are not going in search of goals only, we need to win. “We know the problem people are talking about us not scoring goals. But at the end of the day it’s not about strikers only, you look at all departments on the pitch. “If goalkeepers are not conceding it means the defence is okay and also the defense is looking solid, it means they are getting the cover from the midfielders. “So when we go forward now we are talking about being creative starting from the midfielders going forward, so we need to have that creativity starting from the midfielders going forward. “If there is no creativity it’s always difficult to score goals. We have been talking about it and l just hope come tomorrow (today) we will have to just play our normal game and try to get a result,” he said. He conceded that they did not rise to the occasion when they lost against Horoya in the reverse fixture. 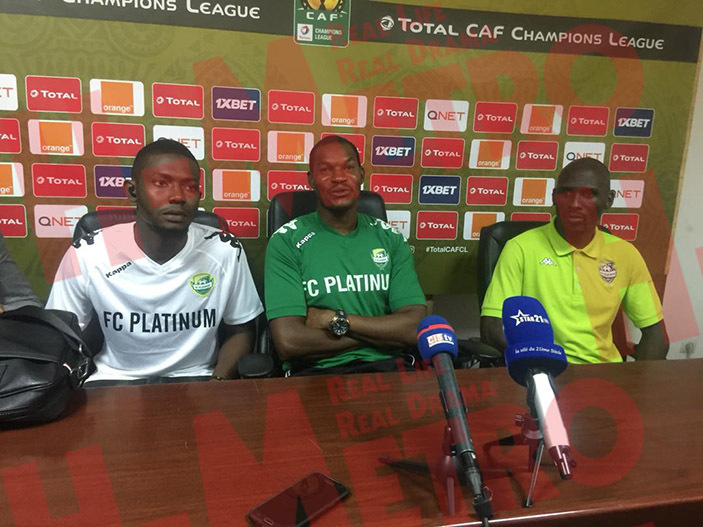 “I have to be honest, against Horoya we were not ourselves. We didn’t play the way we trained. “It’s always difficult when you do something in training then it doesn’t happen when it comes to match day.